Jiaozi (Chinese transliteration), gyōza (Japanese transliteration), or pot sticker is a Chinese dumpling, widely popular in China and Japan as well as outside of East Asia, particularly in North America. 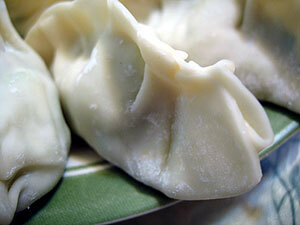 In Korean cuisine, filled dumplings are called mandu. 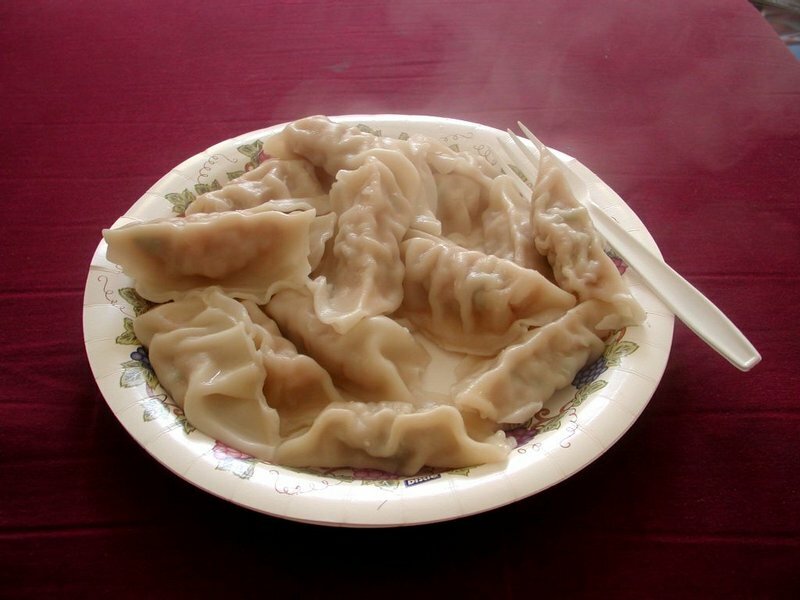 Although some variations are similar to Chinese jiaozi or Japanese gyoza in filling, shape and texture, Korean mandu are generally more like Mongolian buuz or Turkish mantı. Left: A plate of boiled dumplings (shuijiao). Boiled dumplings; (shuijiao) literally "water dumplings". 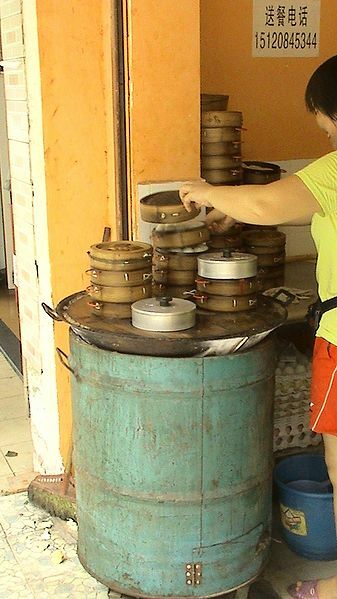 Steamed dumplings; (zhengjiao) literally "steam-dumpling". Shallow fried dumplings (guotie) lit. "pan stick", known as "potstickers" in N. America, also referred to as "dry-fried dumplings". Dumplings that use egg rather than dough to wrap the filling are called "egg dumplings". Common dumpling meat fillings include pork, mutton, beef, chicken, fish, and shrimp which are usually mixed with chopped vegetables. Popular vegetable fillings include cabbage, scallion (spring onions), leek, and Chinese chives. Dumplings are eaten with a soy sauce-based dipping sauce that may include vinegar, garlic, ginger, rice wine, hot sauce, and sesame oil. Dumplings are one of the major foods eaten during the Chinese New Year, and year round in the northern provinces. Traditionally, families get together to make jiaozi for the Chinese New Year. In rural areas, the choicest livestock is slaughtered, the meat ground and wrapped into dumplings, and frozen outside with the help of the freezing weather. Then they are boiled and served for the Chinese New Year feast. Dumplings with sweet, rather than savoury fillings are also popular as a Chinese New Year treat.